We are here to help you restore a sense of normal. Among the chaos and complexity of any size disaster, we are devoted to providing the best possible service as quickly and as affordably as possible. D&K is a small but growing family owned business that was established in 2010. We are dedicated to excellence in what we do, from stellar customer service to our expanded knowledge, and to prompt completion of projects. 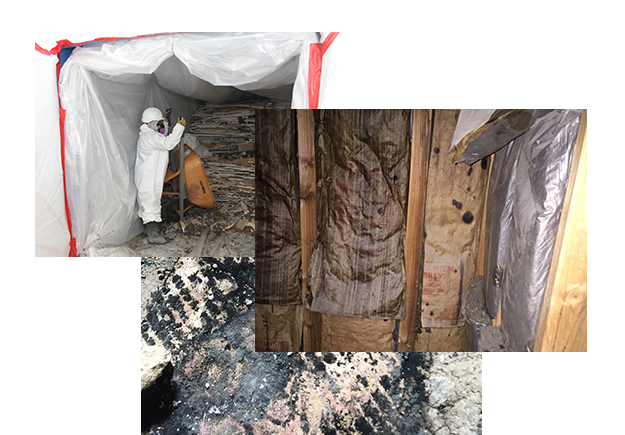 Our quality of life is better knowing we help people everyday eradicate some major health risks that are in their homes: such as mold, asbestos, and lead. We keep our clients informed and up to date with the project, so there are no surprises and no confusion. We work for both commercial and residential clients. Need emergency assistance with mold or asbestos?